Wilshere will leave Arsenal at the end of his contract following talks with Unai Emery. And Arsenal sent him a message from their official club website. “Everyone at Arsenal would like to wish Jack Wilshere a successful future following his decision to seek new opportunities,” the statement read. 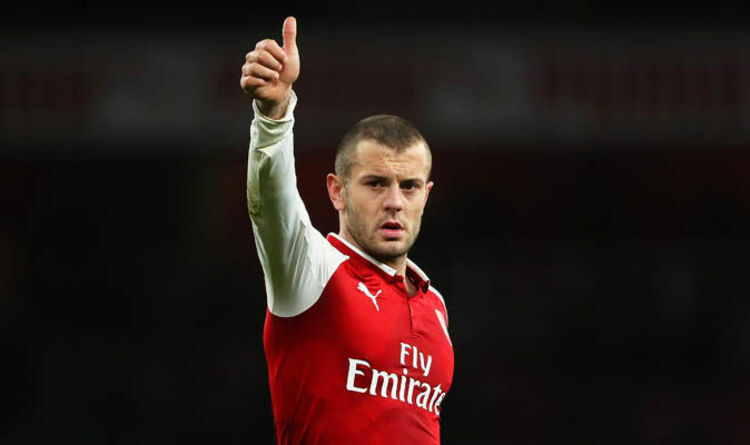 “Since joining our Academy more than 17 years ago aged just nine, Jack has been a tremendous player for the club and a much-loved member of the Arsenal family. “Jack made his Arsenal debut in September 2008 aged 16 and 256 days in a Premier League win over Blackburn Rovers, making him our youngest-ever league player. “Just two months later he also broke our record for the youngest player in Europe, aged 16 and 329 days, when he played against Dynamo Kiev. “Later that season he then played a major part in our FA Youth Cup victory, scoring in the final against Liverpool. “Jack was named PFA Young Player of the Year in 2010/11 and also earned a place in the PFA Premier League Team of the Year that season. “During his time with Arsenal, Jack scored some memorable goals, winning BBC Match of the Day’s Goal of the Season in both 2013/14 and 2014/15. Twice a winner of the Victory Shield with England youth sides, Jack has made 34 appearances for his country. “Since making his Arsenal debut, Jack made a total of 197 appearances for the club, winning the FA Cup twice – in 2014 and 2015. I can confirm that I will be leaving Arsenal Football Club when my contract expires at the end of June. Following a number of extensive conversations with those at the club, and in particular a recent meeting with the new manager, Unai Emery, I felt that I was ultimately left with little choice but to make the decision that I have due to purely footballing reasons. As has widely been reported I, along with my representative, have been in talks with the club for a number of months with the view to signing a new contract to extend my stay at the Emirates. My intention throughout these discussions has always been to remain an Arsenal player. I have been on the books at Arsenal for 17 years and have always felt part of the fabric of the club. Such was my desire to stay that I had in fact recently agreed to sign a financially reduced contract in order to commit my future to the club. However, following my meeting with the new manager I was made aware that although the reduced contract offer remained, it was made clear to me that my playing time would be significantly reduced should I decide to stay. I am sure everyone can understand that at this point in my life and career I need to be playing regular first team football and following my meeting with Mr Emery I came away feeling that it would be very difficult for me to do so at Arsenal. Given this, I feel I have no option but to pursue other opportunities in order to progress my career on the pitch. I have experienced some incredible times at Arsenal and have met friends that will last a lifetime. I leave with memories that will stay with me forever from my time at the club. From making my debut at such a young age, to playing in the Champions League and of course winning two FA Cups in consecutive seasons, there are just too many highlights to mention. There will be the opportunity to talk properly when the time is right but for now I would just like to thank everyone at the club for everything over the past 17 years, in particular Arsene Wenger and his staff, all of my teammates over the years, everyone at the Academy for helping me to fulfil my dream and of course the fans, who I have always shared such a special relationship with. I will never be able to truly repay the love, faith and belief that the fans have always shown in me. It’s meant so much to me and my family over the years and I hope you are able to celebrate the success you deserve in the coming years. Thank you. I would like to place on record my respect for Mr Emery and my appreciation for his honesty and candor, and I wish him, the team and the club all the very best for the future. I’m feeling fit, sharp and strong and will be working tirelessly to ensure I am in peak condition ahead of the new season. I’ll now be taking the time necessary to consider my options before deciding on the next stage of my career.